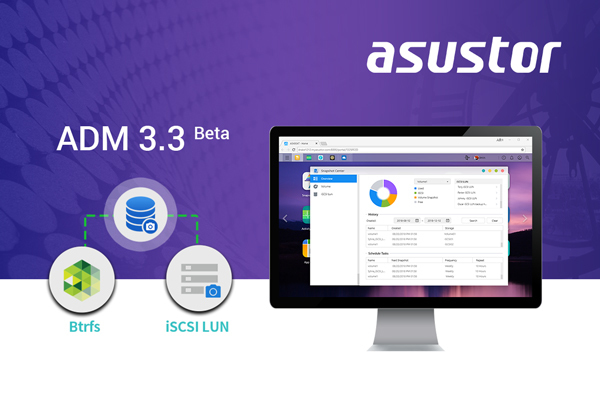 ADM 3.3 Beta introduces Snapshot Center. Upon updating, Snapshot Center will be added to the ADM desktop. Snapshot Center integrates iSCSI LUN snapshots as well as Btrfs snapshots, making it easier to manage all of ADM’s snapshot features, saving time and increasing efficiency. Btrfs snapshots are currently only available for AS31/32/40/50/51/61/62/63/64/70 series. Please back up data before reformatting drives as Btrfs.